My dad at his craft hobby work, also gives him a longer life, even when in great troubles ;). 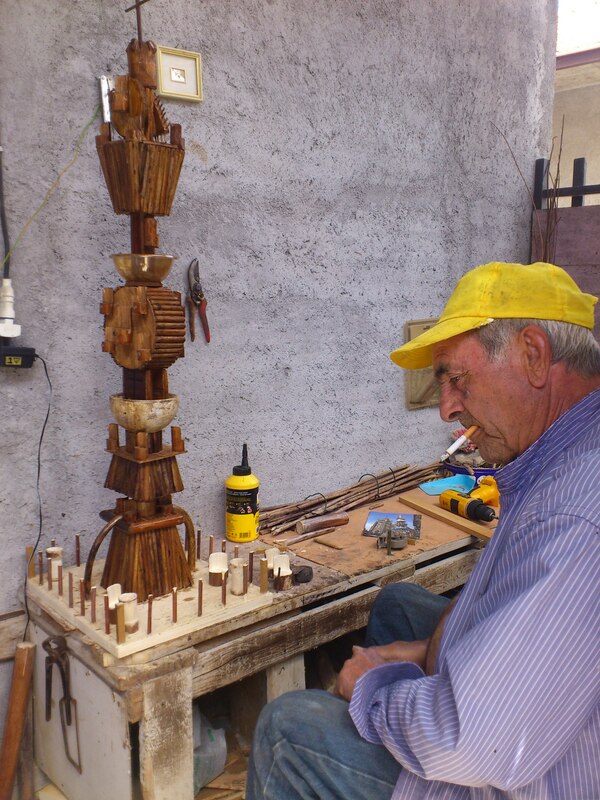 Here you are mister Alfio Giglio better known as “donAlfio” because the age, he an handy crafter 76 years old man. – He uses to gather “Wooden Fennel” and some other wooden plants by the Etna area environment mountain and volcano. showroom, art gallery, museum, shop, exhibit, festival and so on. – Gadget and useful furniture completely handmade, green by the nature, nice architecture for home, house, farm, cottage, interior or exterior design. Next Duomo di San Tommaso di Canterbury, Marsala.